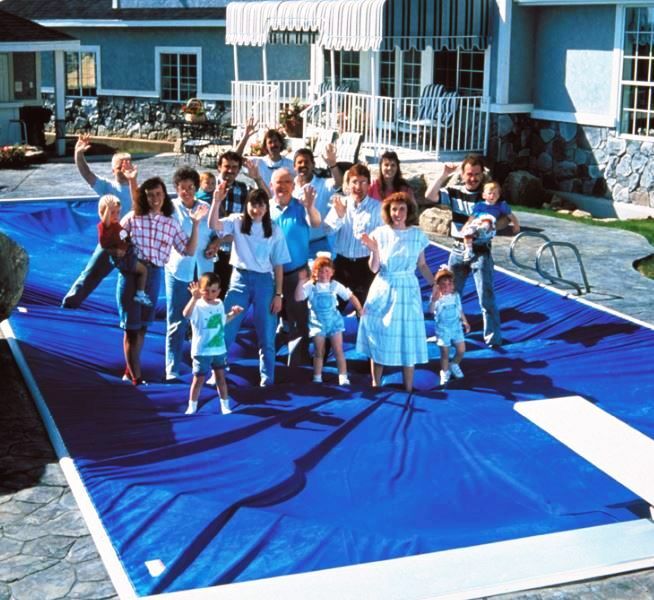 Do not walk or stand on cover except in an emergency. 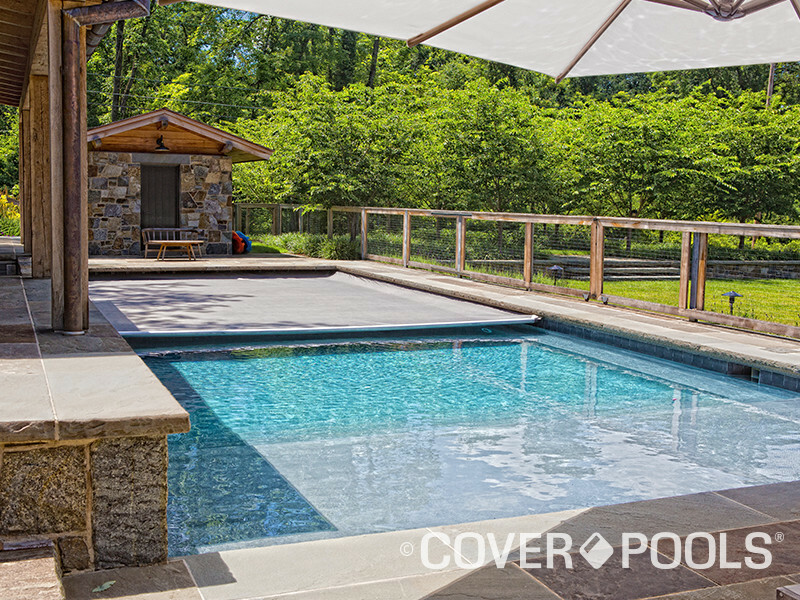 If you're at the beginning stage of pool planning, now is the time to incorporate a pool cover into the design. 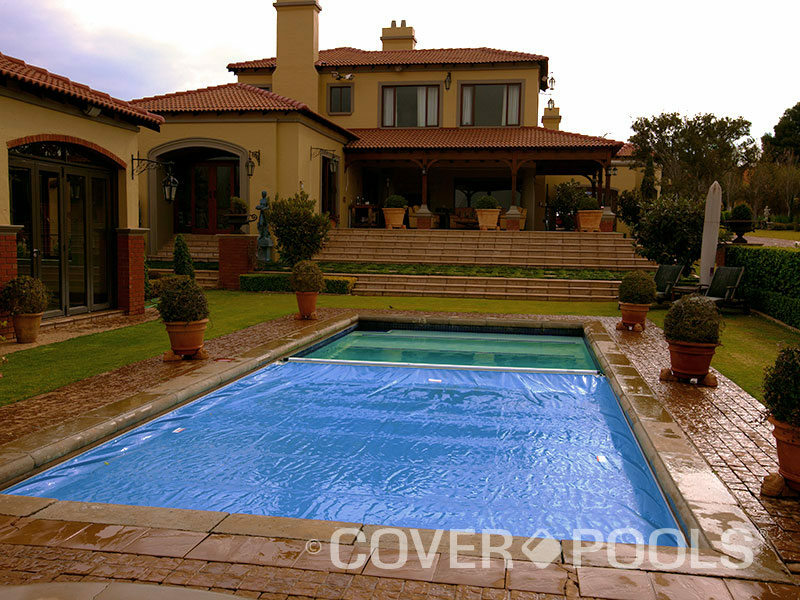 We offer an array of special applications that make it possible to include a pool cover on your new swimming pool so that the tracks and mechanism are concealed. 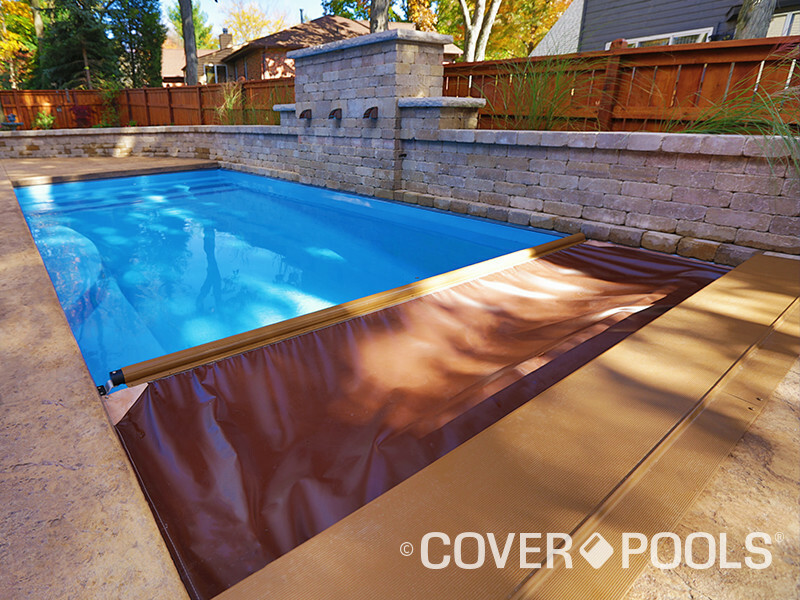 Most new rectangular concrete or gunite pools accommodate an automatic pool cover by using our Underside track system. 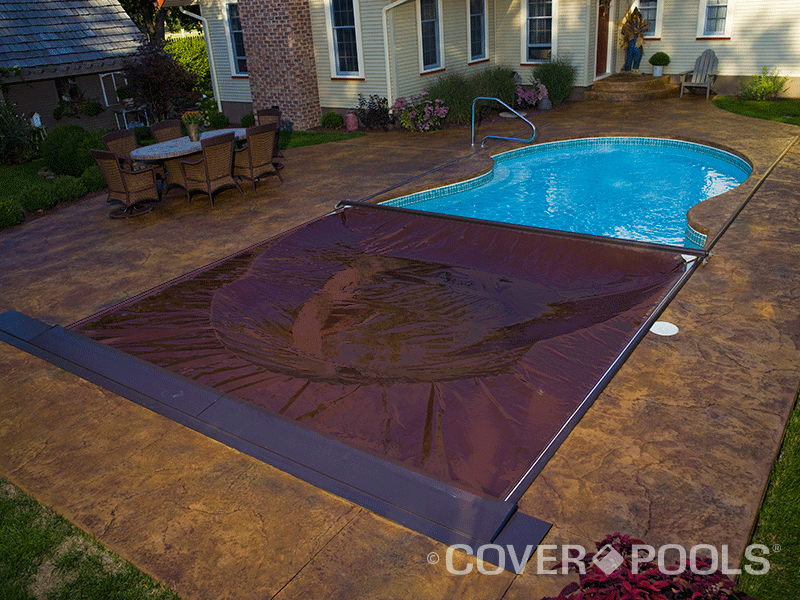 The track is concealed underneath the pool's overhanging coping and the cover mechanism is housed below the surface of the deck. Provisions for this track must be made prior to construction. 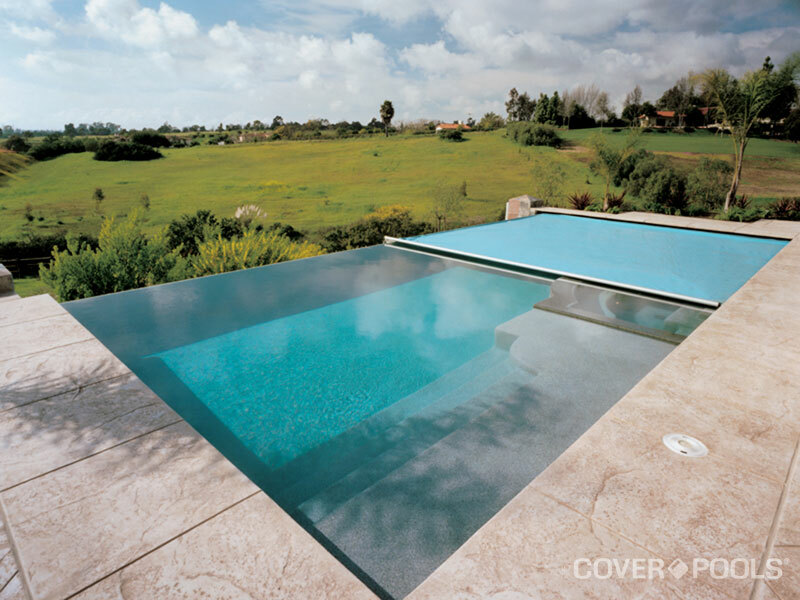 Vanishing-edge and vanishing-end pools are designed to highlight the horizon line when sitting in the pool. 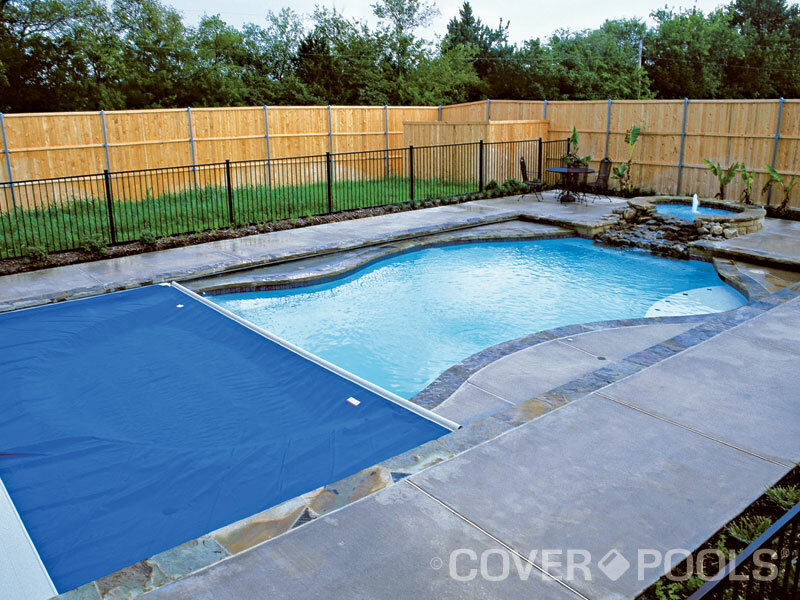 Also known as infinity-edge or negative-edge pools, they can utilize a Cover-Pools pool cover to dramatic effect. 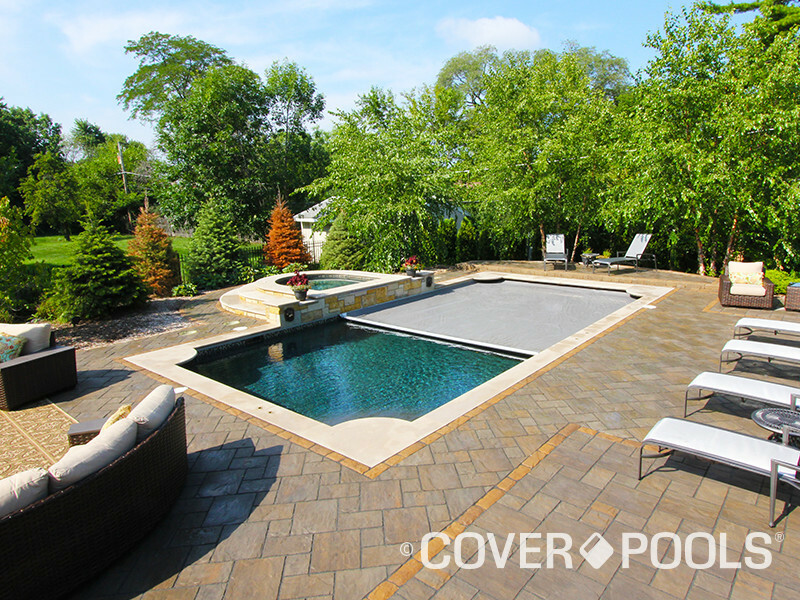 Discuss incorporating a cover system into your vanishing-edge pool during the beginning planning stages. 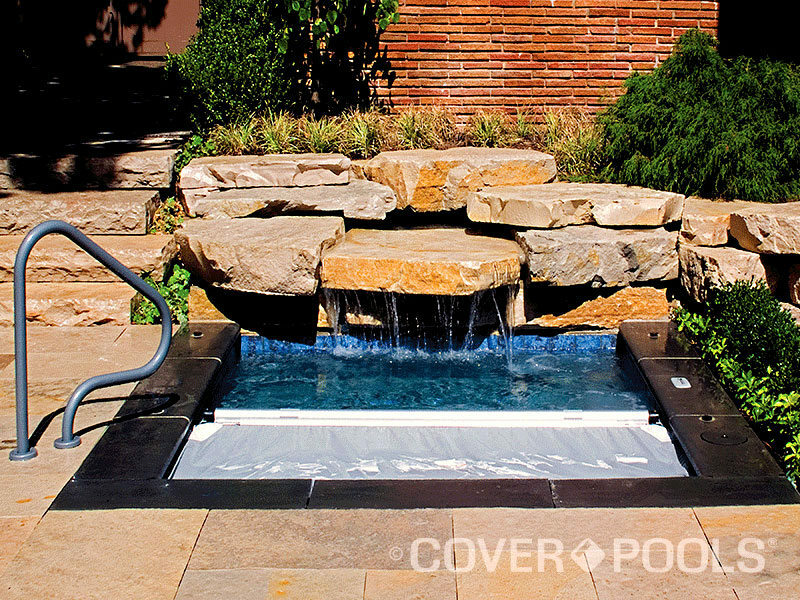 Deck-on-deck construction uses track channel to seamlessly integrate the Underside™ track system on freeform pools. 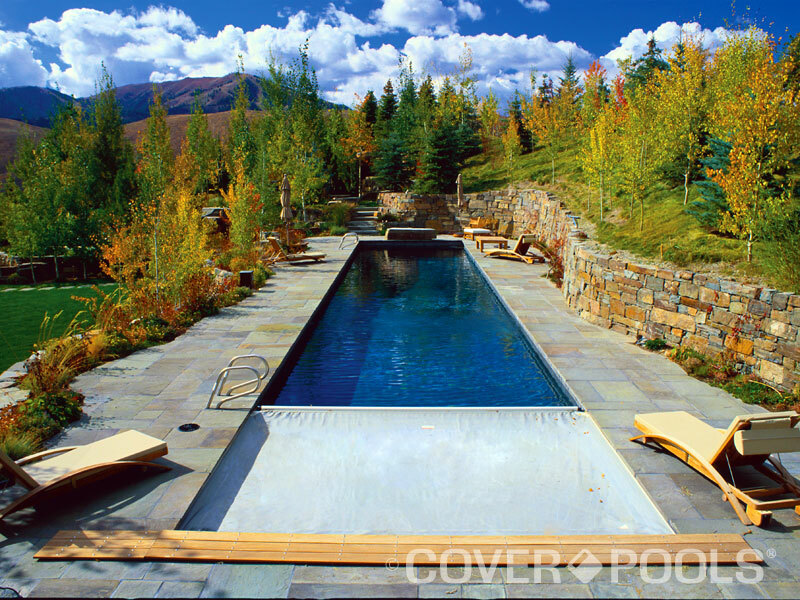 This technique involves building a rectangular deck slightly raised above the freeform pool deck. The tracks are placed under the coping of the raised rectangular deck. 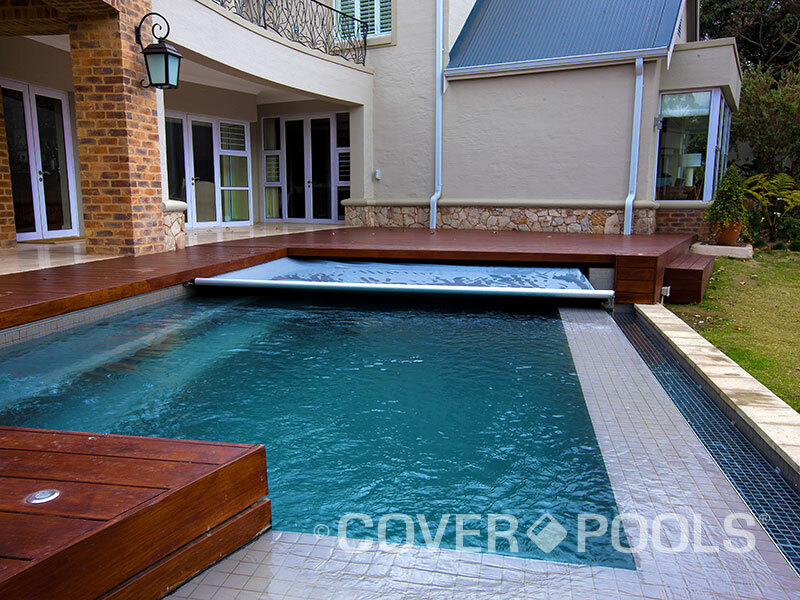 Another technique for adapting the automatic cover to the free-form pool involves the use of low-profile track that mounts to the deck surface. 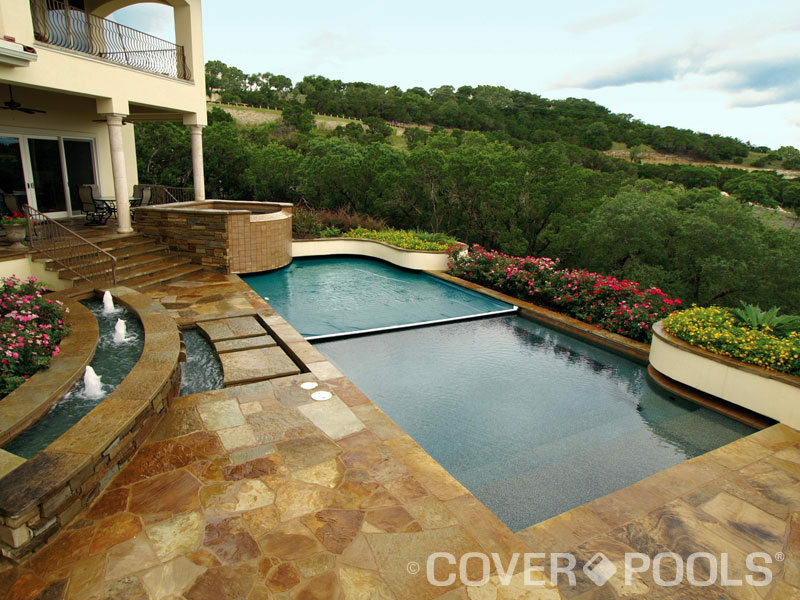 For a one-on-one consultation, give us a call at (214) 321-4029 or use our online form.